Honoured by the Royal Television Society with the Television Personality of the Year Award, Julie's professionalism, engaging personality and dynamic approach mean she is in constant demand. 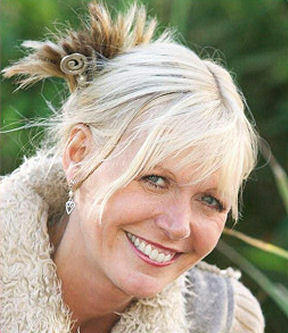 She has worked extensively for the Travel Channel presenting Cruise Today, and she regularly writes about travel and lifestyle for the Mail on Sunday, The Daily Telegraph, Femail and Best magazine. With long-running columns in The Sunday Mirror, Now and Yours magazines to her credit, she is currently Contributing Editor for Cruise International magazine. Julie and Wendy also have a double-page spread about crafts in Simply Homemade, and she co-writes a travel column in Magnet magazine with her husband, actor Patrick Pearson. As an actress, Julie's career has spanned over forty years of prestigious theatre and television. She has worked in the West End, spent five years with The Royal Shakespeare Company (in Stratford and London) and recently returned to her home town of Grimsby to star in panto. 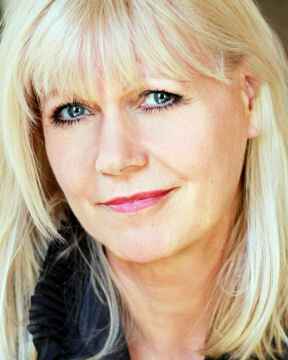 Her long list of TV credits include Casualty, Taggart, Holby City, The Survivors, The Bill, Luv, First Born, Chains of Love, Doctors and September Song, but she is probably best known for having been a regular in no less than three soaps - as Barry Grant's ill-fated girlfriend Fran in Brookside, motorbike-riding Jo in Emmerdale and the outrageous Jacqui in Hollyoaks. She is also responsible for putting the 'Pop' in the Birds Eye Peas commercials, and her distinctive voice has made her one of the country's top voice-over artists, with several hundred TV and radio commercials to her name.